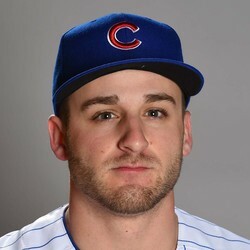 Mark Zagunis went 2-for-4 with a pair of doubles in the Cubs' 8-0 loss to the Braves on Monday. Zagunis now has three hits on the year, all of which are doubles. The 26-year-old displayed an elite walk rate at the minor league level and could be an interesting player to keep an eye on in OBP formats.